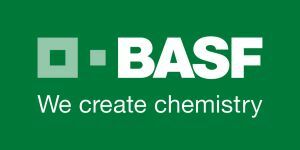 BASF Corporation - Intermediates Division @ ChemBuyersGuide.com, Inc. The BASF Group's Intermediates division develops, produces and markets a comprehensive portfolio of about 700 intermediates around the world. Its most important product groups include amines (featured below), diols, polyalcohols, acids and specialties (some featured below). The BASF Group's Intermediates division develops, produces and markets a comprehensive portfolio of about 700 intermediates around the world. Its most important product groups include amines, diols, polyalcohols, acids and specialties. Intermediates are for example used as starting materials for coatings, plastics, pharmaceuticals, textiles, detergents and crop protectants. Innovative intermediates from BASF help to improve both the properties of final products and the efficiency of production processes. The ISO 9001 certified Intermediates division operates plants at production sites in Europe, Asia and North America. For each product featured below the minimum package size is listed. However, larger package sizes and bulk may be available; if applicable, please inquire. Samples are available upon request.